Every financial institution faces risk. It doesn’t matter if you’re a Manhattan bank in charge of $30 billion in assets or a local credit union servicing a small community of corn farmers in Northern Illinois – protecting the assets of your members and customers is a massive priority at the core of every financial institution’s business model. How these assets have been protected over the last thirty years has been fairly straightforward: an assessment of risk is taken initially, a plan to mitigate that risk over the next three to five years is conceived, and then – as the business grows – implementations are made to keep risk at an acceptable level. And this method worked great...well, it worked great for the time. The complexity and popularity of cybercrime in the last three years has done something very few expected. Sure, it exposed major vulnerabilities in individual corporate networks, costing an estimated $600 billion globally in the last year alone, but it also exposed vulnerabilities in the way all financial institutions have approached mitigating risk in general. The once-every-year-or-two risk assessment as a normal business practice has fallen into the same category as floppy disks and Kevin Spacey – archaic and unacceptable. This is not only due to the influx of cyber security attacks, the pace of the game has changed as well. Assets are becoming more fluid and diverse (relative to the savings and spendings behavior of your members and customers thirty years ago). And, if these assets are ever changing, doesn’t it make sense that your assessment of how to protect them should be changing as well? So what is the solution to managing this new threat landscape? If an IT risk assessment does nothing else, it outlines a plan for how to best protect your assets. But to first protect these assets, you need to know what they are. The beauty of an ongoing risk assessment is that these assets are constantly updated to account for what you already have, and also the assets you’re in charge of as your business continues to grow. With this constant updating, your visibility of the systems and controls surrounding and protecting these assets becomes crystal clear. Instead of estimations between assessments, you receive real-time feedback of exactly what is protected and what isn’t. With such an exact level of visibility, you now know exactly what controls need to be in place to protect that which is most vulnerable as well as what would pose the greatest impact in the occurrence of a data breach. Risk is measured primarily as the potential damage caused to your organization by a threat exploiting a vulnerability. The level of risk of an individual system, therefore comes from a few different sources: the importance of the system, the impact if it was exploited, and the severity, or caliber, of threats that seek to exploit a vulnerability in a system. As threats to a system become more severe, the risk posed to your business goes up as well – and right now your threat landscape is evolving faster than ever. The ferocity and perseverance of cybercriminals and their attacks calls for improved security systems to defend against these rapidly maturing attacks. The benefit of an ongoing risk assessment is that it accounts for these external threats and how they interact with your information systems and assets to affect your overall risk. These risk intelligence updates (as we at Rivial like to call them) allow you to refine the necessary key controls to help keep your assets safer and your business ahead of the curve of cyber criminals. But the benefits aren’t limited to only external threats. Internally, your business is constantly growing and changing as you outsource work to vendors, change policies to improve customer experience, and expand your customer base. 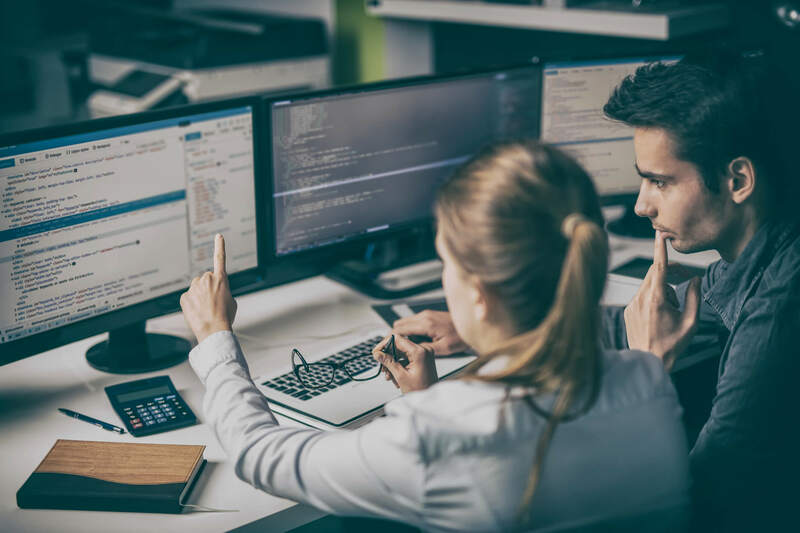 All of these changes impact your risk, and having visibility into how these changes affect your cybersecurity is paramount to keeping your operation running safely. One of the key purposes of a risk assessment is to inform your budget on how to best allocate security funds to get the best security for your dollar. By approaching the risk posed to your information assets as an ongoing process, you’re granted real-time visibility into exactly what assets need to be protected and when. This is what makes it such a powerful tool for so many IT managers and information security officers when it comes to requesting funds from the Board or your CEO. You’re able to show weaknesses in your systems and exactly how much a breach would cost your business in financial, reputational, and logistical damages. Like to learn more about how an ongoing IT risk assessment can improve your security and save you a ton of money in the process? Reach out to us at info@rivialsecurity.com or learn more about our Managed Risk service.